It's A Bird . . . It's A Plane . . . It's Superman. As a pre-teen in Jefferson, Georgia comic books only cost 10 cents. I purchased most of my comics from the Joe Baxter General Store in downtown Jefferson. I did pick up a few from Jefferson Drugs. Early on they had a good selection of comics, until they decided they couldn't compete with Baxter's and stopped carrying them. I think I learned to read from comic books. Superman, Batman, Tarzan, Captain Marvel and all the western and super heroes of the time were the favorite comics that I had access to during the early fifties. One of my favorite expressions was "Shazam". That was the magic word that turned timid Billy Batson into the world's mightiest mortal, "Captain Marvel." I have often thought about how much those comics would be worth today if I had just had the foresight to hold onto them. Most of my comics were purchased by my uncle, Monroe Bennett. He would pick up 10 or 12 comics on the Saturday after his Jefferson Mills payday. I couldn't wait to get my hands on those comic books. My favorite comic book hero was always Superman. I must have read every Superman comic that came out from around 1955 up through about 1970. 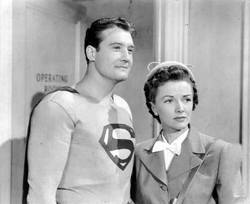 I also saw the Superman serial at the Roosevelt Theater and never missed an episode on television with George Reeves in the starring role. I vaguely remember some radio Superman presentations in the early fifties. 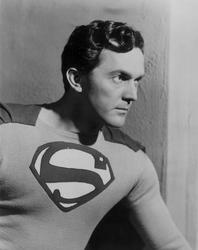 On the radio, the guy who provided the voice for Superman was Clayton "Bud" Collyer. The theatrical and TV cartoons were also voiced by Bud Collyer. 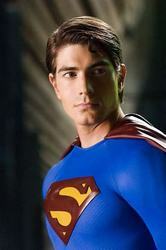 The movie serials saw Kirk Alyn ( "Superman" and "Atom Man vs. Superman" ) star in the Columbia Pictures presentations. 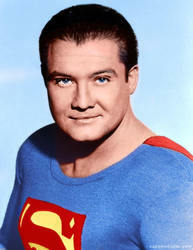 The television series had George Reeves ("Adventures of Superman" with a special appearance on the "I Love Lucy" TV show. 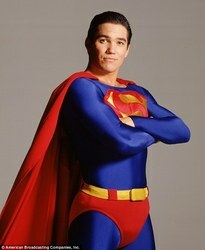 Later Dean Cain would play the Man of Steel in; ( "Lois And Clark, The New Adventures of Superman" ) television series. 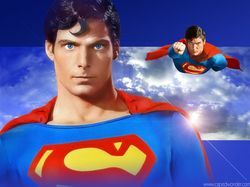 The best Superman movies featured George Reeves ("Superman and the Mole men" - 1951) Christopher Reeve ( "Superman the Movie" - "Superman 2: The Adventure Continues" - "Superman 3" and "Superman 4; The Quest For Peace") and Brandon Routh in ( "Superman Returns" ) in starring roles. 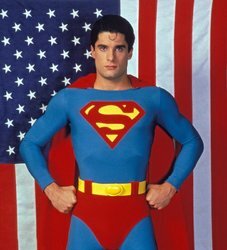 A later Superboy television pilot and series had John Rockwell ( "Superboy" television pilot - 1961 ) - John Haymes Newton ( Season 1 ) and Gerard Christopher ( season 2-4 of "Adventures of Superboy" series by the Salkinds ) and Tom Welling later starred in the ( "Smallville" ) television series. The latest Superman movies, "Batman Versus Superman: Dawn of Justice" and "The Justice League of America" were outstanding. The Justice League movie may be the best super hero movie of all time. 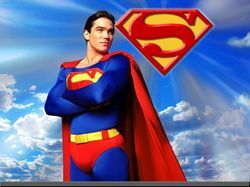 Some other "Superman spin-offs were; Billy Curtis ( Superpup TV pilot 1958 ); Jeff East ( the teenage Clark Kent in "Superman The Movie" ); Aaron Smolinski ( baby Clark in "Superman the Movie" ); and Helen Slater ( "Supergirl" ). I always thought it was unbelievable that just by putting on a pair of glasses, Clark Kent, could prevent others from seeing that he was Superman. Of course, the rest of the Superman adventures were completely believable . . . to an 8 year old kid in Jefferson, Georgia. George Reeves as Superman in the 1950s. Faster Than a Speeding Bullet. .
Can leap tall buildings with a single bound . . .
Superman and Lois Lane . . . From the TV Series. 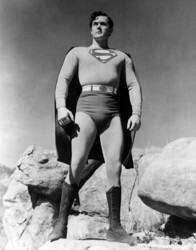 Kirk Allyn as Superman in the 1940s . . .
Kirk Allyn . . . The first Superman on radio and in the movies. Christopher Reeves . 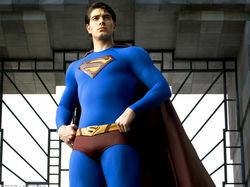 . .
Christopher Reeves as Superman took flying in the movies to a new level . .
Brandon Roth as Superman in "Superman Returns . . .
Brandon Roth . . .
Brandon Roth with a new look Superman uniform . 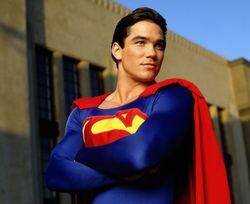 . .
Dean Cain as Superman in the TV series "Lois and Clark." 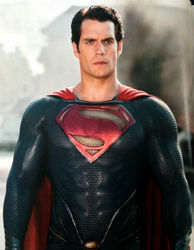 Henry Cavill as Superman in "Man of Steel, Batman vs. Superman and Justice League." Justice League with Henry Cavill as Superman just maybe the best super-hero movie of all time. 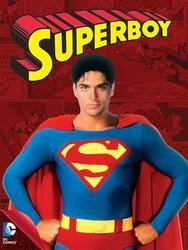 John Haymes Newton as Superboy in the TV series. Stacy Haiduk as Lana Lang and John Haymes Newton as Superboy. Helen Slater takes to the air as Supergirl. Helen Slater as Supergirl . . . The second Superman publication was 'Superman" in the summer of 1939. 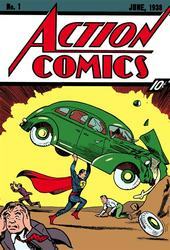 The first appearance of Superman was in Action Comics in 1938. Some various Superman family spin-offs. The "Death of Superman" was the most publicized comic book in history. 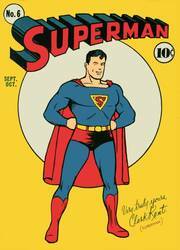 Superman Silver Age comics are extremely valuable to comic collectors. Early Supergirl comics were in strong demand in the 60s and 70s. 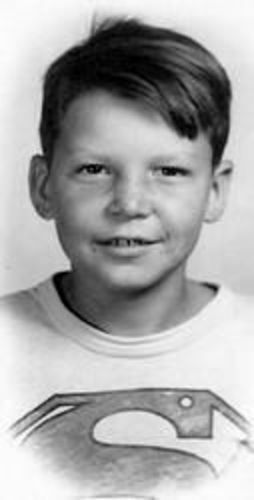 Superboy was a popular comic in the 50s and 60s. Well worth the 10 cent price in the 40s through the 60s. 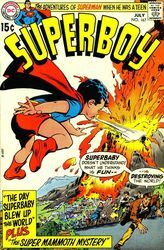 Even a 'Superbaby" was featured in Superman family comics in the 50s and 60s. That 8 year old youngster that grew up reading Superman comics . . . Cecil Buffington. 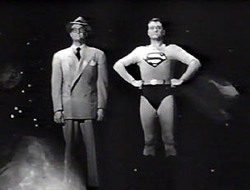 Cecil Buffington's favorite Superman character was George Reeves.